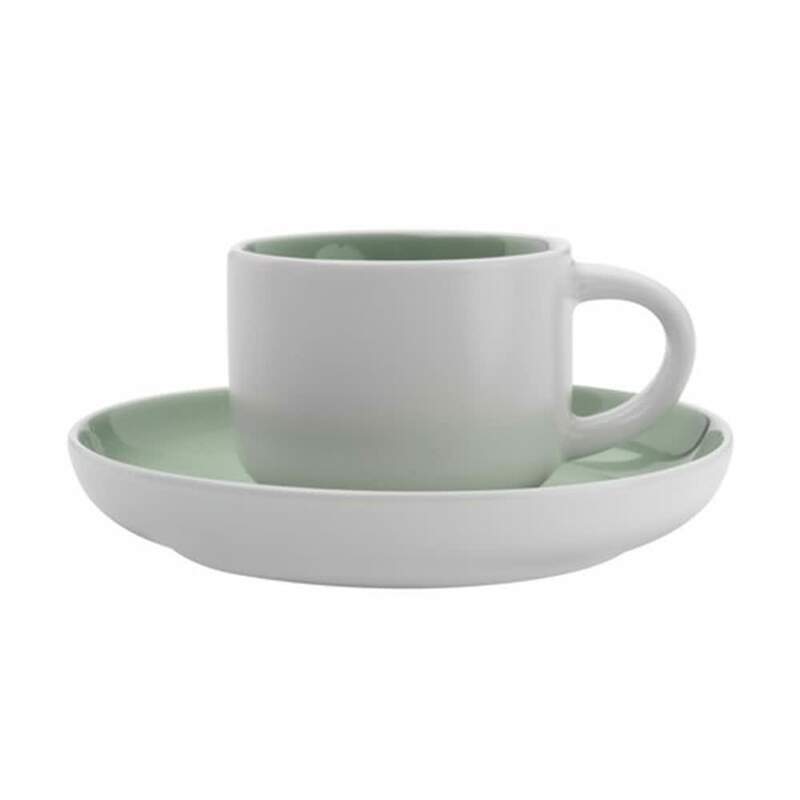 This Demi cup and saucer is a charming addition to the Tint range. With a soft palette and a simple aesthetic, each Tint piece is equally beautiful either on its own or as part of the set. White exterior with colour on inside. Gift Boxed.